It’s a known fact that reading expands your horizons, and book clubs take that to a higher level through discussions and different viewpoints, contributing to your knowledge and appreciation of the world around you. Are you an older adult considering joining a local book club? Below see a few reasons you should take the leap! Book clubs offer opportunities for socializing and meeting new people from all walks of life, who share your love of reading. Your comfort level may be a specific genre, and a book club can encourage you to try books that you normally wouldn’t consider. In doing so, you may find that you enjoy different types of books more than you would have imagined. Reading groups are a great way to expand your knowledge. Discussing books helps reinforce what you have learned, and enables you to retain information better. The intellectual conversation you have at a book club can also have a positive impact on your brain. Book clubs can delve into deep discussions about emotional, spiritual, and philosophical themes explored in literature. This is a good way to regularly exercise your brain. Through books, you can travel and experience other cultures, as well as learn from book club members of different backgrounds. One of the best lessons you can learn from books is something that teaches you more about yourself. Your response to each new book is an opportunity to learn more about yourself and the world around you. Good books can also spark conversations today with your peers, especially if you’re a member of a book club. 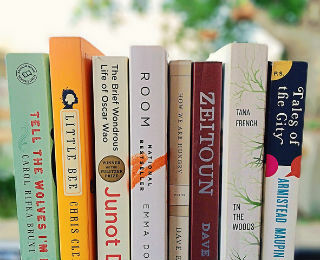 Book clubs are often hosted by local libraries or community centers. Take the leap…the benefits are many!